Regardless of how B2B companies are emerging in the world, many of them still lack the expertise and approach of utilizing online marketing technique to generate quality leads. In fact, you’ll be surprised to find out that most of them still rely on the traditional method of cold calling a useful lead generation technique. Yes, cold calling is always helpful, but not as much as any of the inbound marketing techniques. 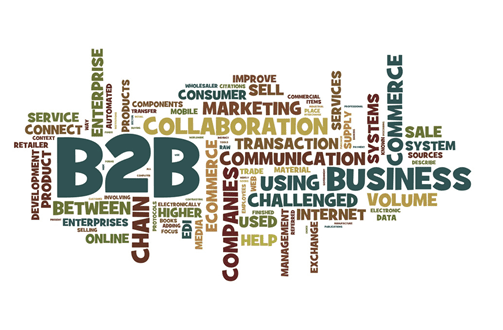 Apart from that, many B2B marketplaces like Amazon Business, Alibaba, ExportHub and Global Sources are also playing an essential part in helping businesses of all sizes and types by providing a B2B portal that connects them with each other regardless of which country they are operating from. If you are looking for a way to revamp your B2B marketing approach to generate quality leads, then here are a few tips to improve your outcomes. According to research, 84% of people have said that they will never purchase from a website that isn’t secure. Your site is the first impression that you set for your potential prospects. If you fail in providing a good impression, I’m afraid the customer will merely bounce and go to a competitor’s site. In order to catch your prospect’s attention, you need to make sure that your website is user-friendly, secure, mobile optimized and informative. Remember, you aren’t dealing with an ordinary customer who can convert just by looking at a few images. You are actually dealing with businesses that are going to buy in bulk. Therefore, they would eventually want to know everything about the company, the product and material. Provide all that on your site and experience a rise in traffic and leads. One of the first things that all B2B companies need to finalize is their target audience. If you don’t know who you are going to target, how will you understand which marketing strategy will be ideal for you? You should always be crystal clear about your target audience and after that focus on them only. Once you are clear about your audience, you can produce targeted pages and content that is engaging to attract your potential audience. If you stick with marketing to your niche, you’ll end up with better outcomes. One of the best tactics to generate both traffic and quality leads is content marketing. In a highly competitive industry, you need to be unique to edge past your competitors and look different. With high quality and informative content, you can easily connect with your buyers. In addition, your content can also benefit your SEO marketing strategy that’ll boost your ranking on search engines. With a better ranking, you can expect a rise in your organic traffic. Remember, your organic traffic will also be more likely to convert as they searched for what they wanted and saw your website right in front of their eyes. Many businesses spend hundreds of dollars on buying lists from providers. The sad part about these lists is that many contacts listed aren’t even authentic, or are outdated. A better way to get your hands on contact details is by working on it yourself. Even if a potential prospect lands on your site and doesn’t convert, you need to make sure that you ask for their contact detail to stay in touch with them. You can use pop-ups, CTAs or merely ask them via live chat for their email address in return for the updates and offer notifications. Not everyone will provide their details, but most will. With over one-third of the world’s population already active on social networks, if you aren’t marketing on these platforms, you are losing big time. However, which social platform should you choose for your B2B marketing campaign? According to HubSpot, LinkedIn is found to be 277% more effective in generating quality leads than Twitter and Facebook. Apart from that, 49% of B2B buyers look up vendors through their LinkedIn profiles. Having that said, now you know where you should start working on by creating a good profile filled with high-quality content. With your B2B marketing strategy focusing on capturing quality leads, it’s also essential to get your business listed on some of the top B2B marketplaces. By doing that, you’ll enhance your chances of getting an online presence. Apart from that, these B2B marketplaces have their own traffic, and most of them are also well-known brands that can give you the exposure you are looking for. Wondering which one to start with? To be honest, the first B2B platform you should sign up at is Alibaba. This website is one of the top sites on the internet with over 100 million active users. However, that doesn’t mean that after registering on this platform you are done. There are many Alibaba competitors that you also need to see and get your business listed at. In order to get your business recognized, you need to promote your company and become a brand. For that to happen, it’s about time that you let go of traditional marketing techniques and go for online promotional strategies. Content and social marketing should be your key focus, aligned with creating a well-optimized user-friendly website to keep your prospects satisfied. In addition, don’t forget to help your business get online presence by registering on top B2B marketplaces. Follow these tips and experience a significant boost in your lead generation.